Maj. Gen. Deborah Ashenhurst pictured with loved ones during her swearing-in recently by Governor Mike DeWine. https://www.recordherald.com/wp-content/uploads/sites/27/2019/01/web1_dirashenhurst_crop.jpgMaj. 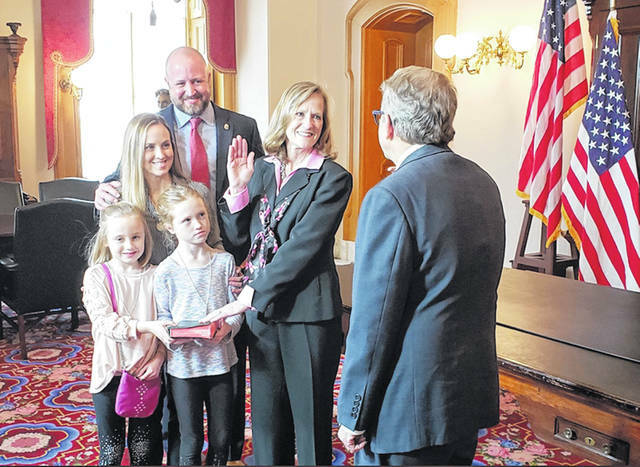 Gen. Deborah Ashenhurst pictured with loved ones during her swearing-in recently by Governor Mike DeWine.